Olivia is a writer and critic with a particular interest in art, sexuality and cities. The Lonely City (2016) is an investigation into loneliness by way of several iconic artists, including Warhol, Hopper and David Wojnarowicz. It was shortlisted for the Gordon Burn Prize, Goodreads Choice Award and the National Book Critics Circle Award for Criticism and has been transated into 15 languages. The Trip to Echo Spring (2013) explores the liquid links between writers and alcohol. Hilary Mantel described it as ‘one of the best books I’ve read on the creative uses of adversity’. It was shortlisted for the Costa Biography Prize and the Gordon Burn Prize. To the River (2011) is the story of a midsummer journey down the river Virginia Woolf drowned in. It was shortlisted for the Royal Society of Literature Ondaatje Prize and the Dolman Travel Book of the Year. 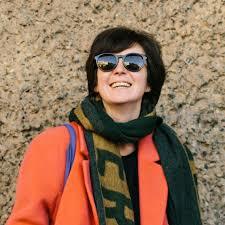 Olivia is also a columnist for frieze and writes on art and culture for the Guardian, New Statesman and New York Times among other publications. Between 2007 and 2009, she was Deputy Books Editor of the Observer. Awards include the 2018 Windham Campbell Prize, the 2014 Eccles British Library Writer’s Award, fellowships at Yaddo and MacDowell and an Authors’ Foundation Travelling Scholarship.